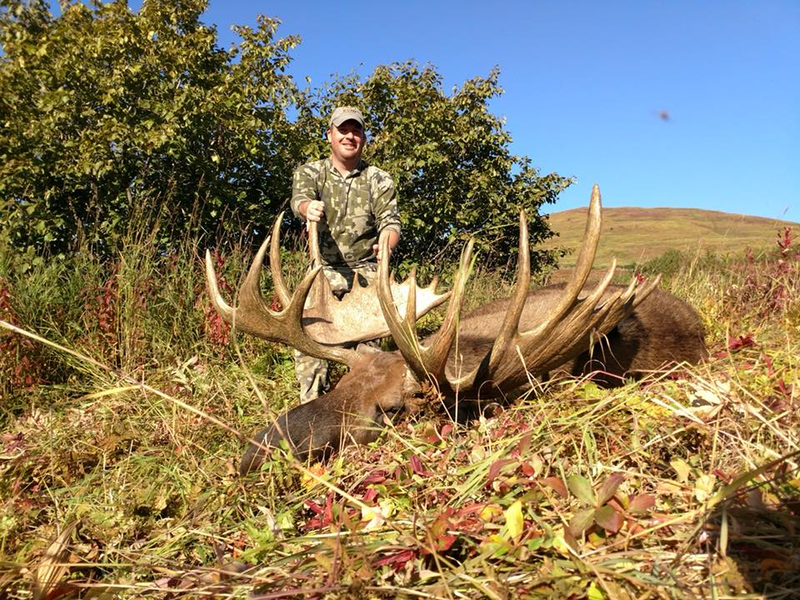 Ed Laidlaw and his tremendous bull taken with guide Brad Burns. 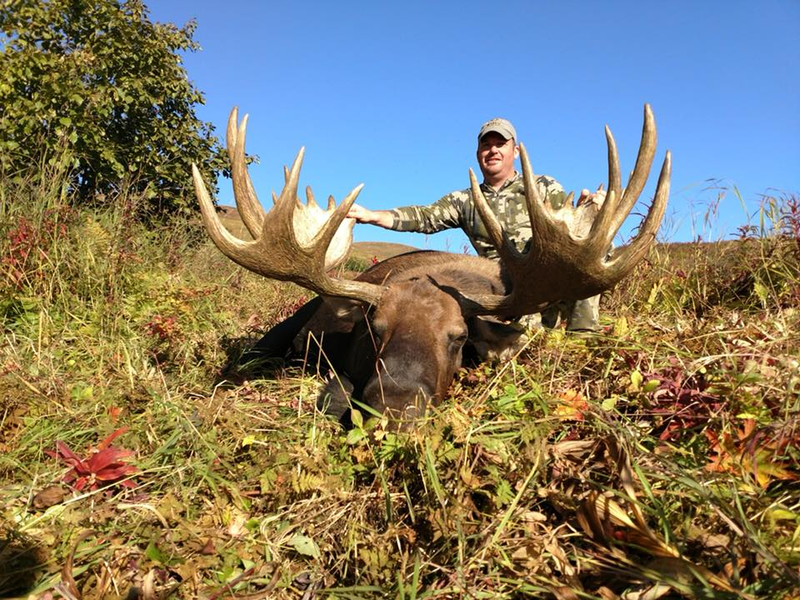 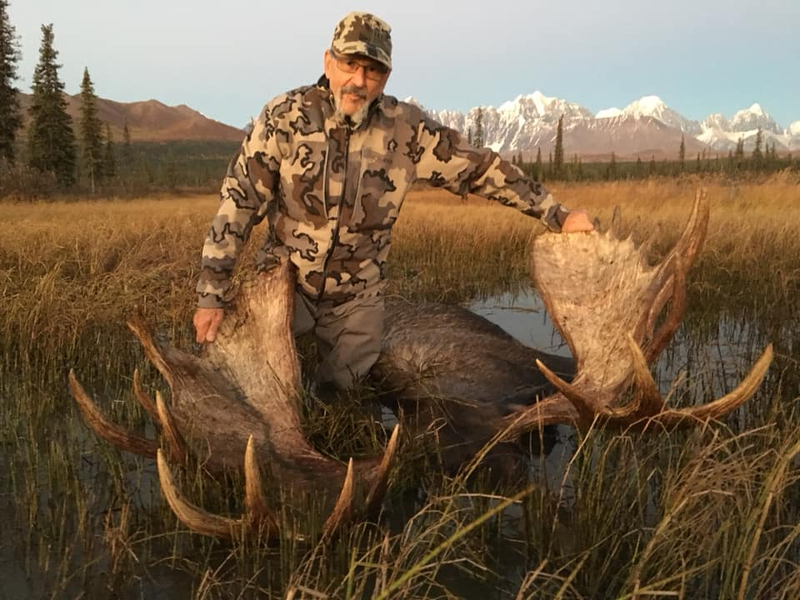 Frank Vignolas and his 60″ moose taken with guide Matt Rees. 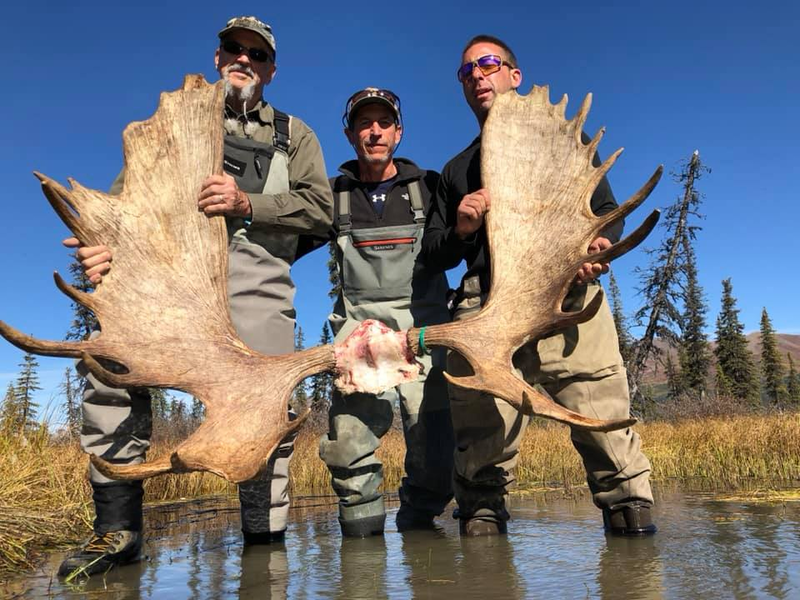 Guide Matt Rees (center) with bull. 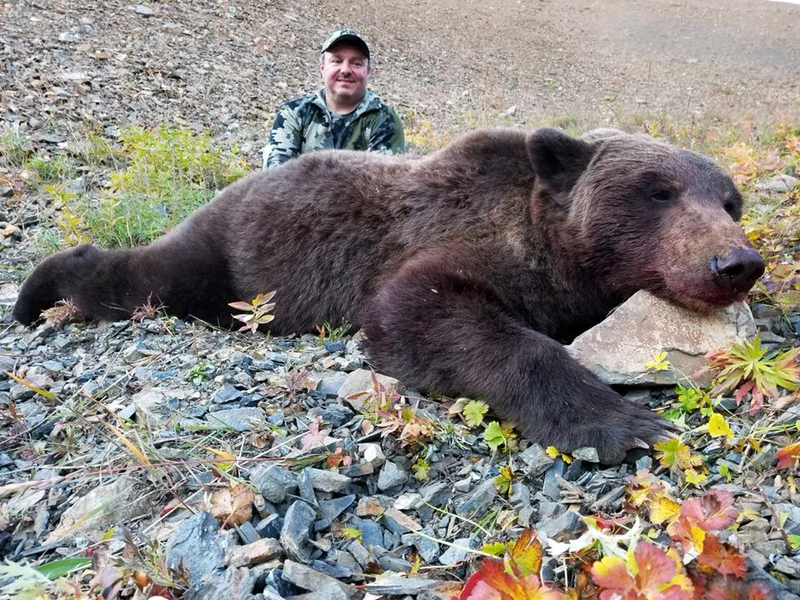 John Foster and his “midnight” brown bear. 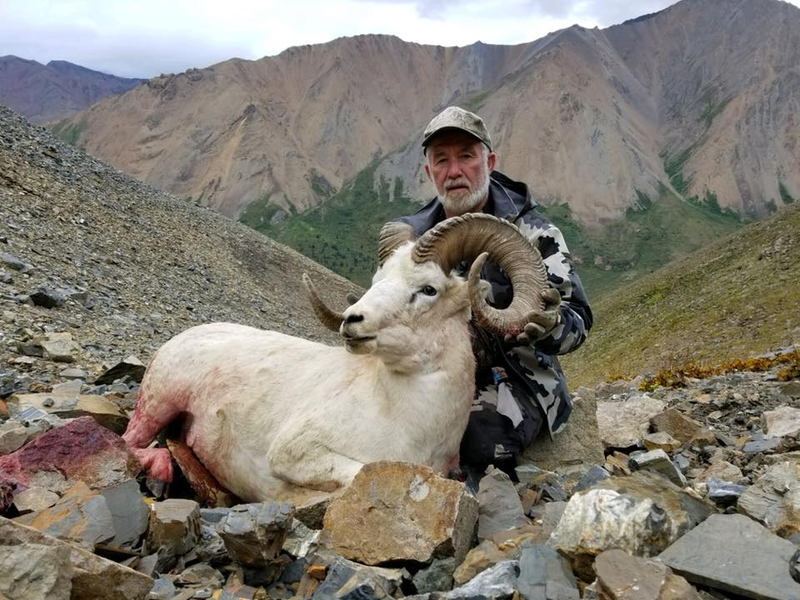 John was guided by Glenn Elliott. 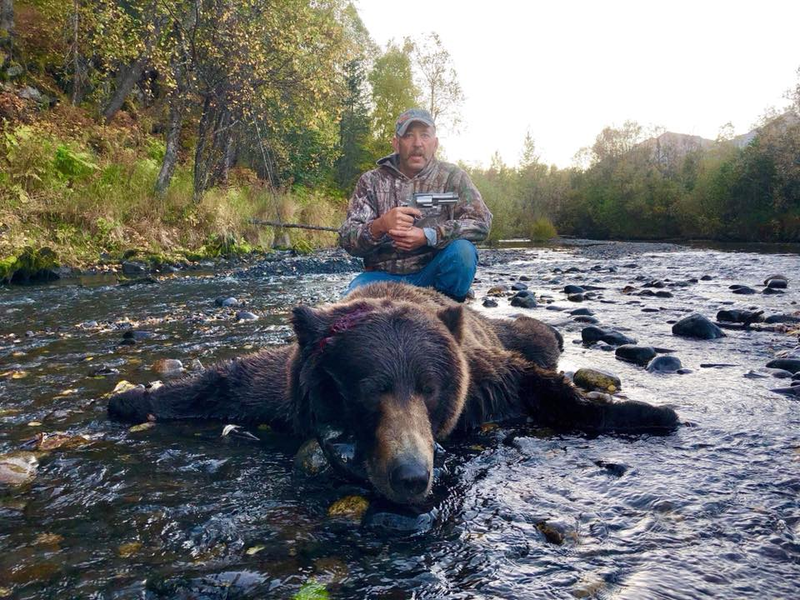 Kevin Wright and his Brown Bear taken with Andrew Wesley. 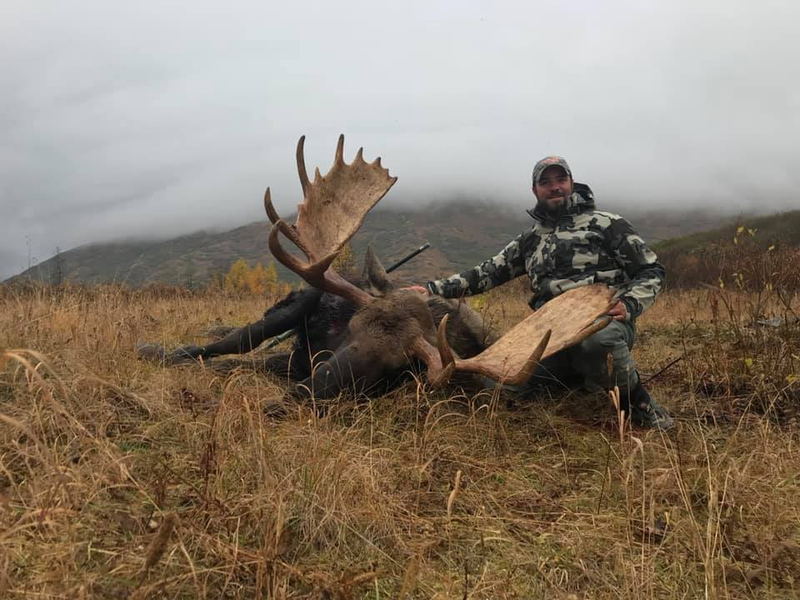 Nick Mong and his bull taken with guide Brad Burns. 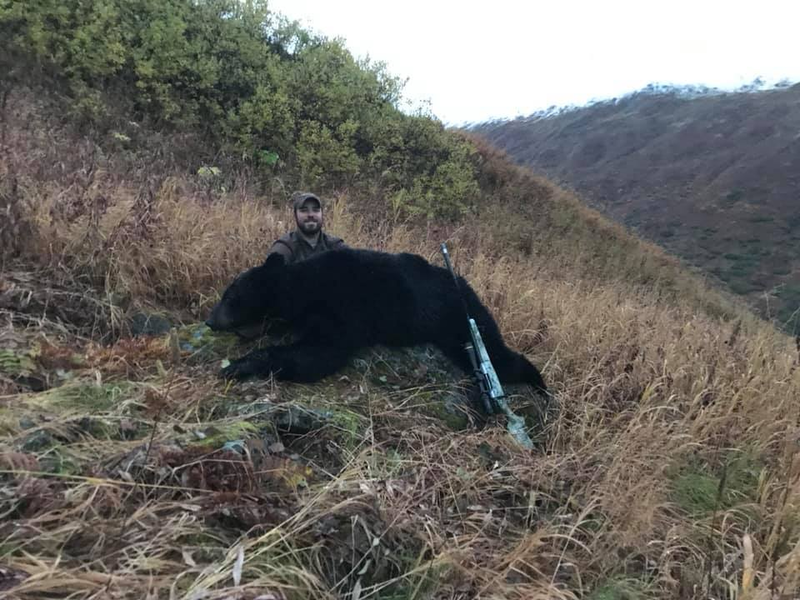 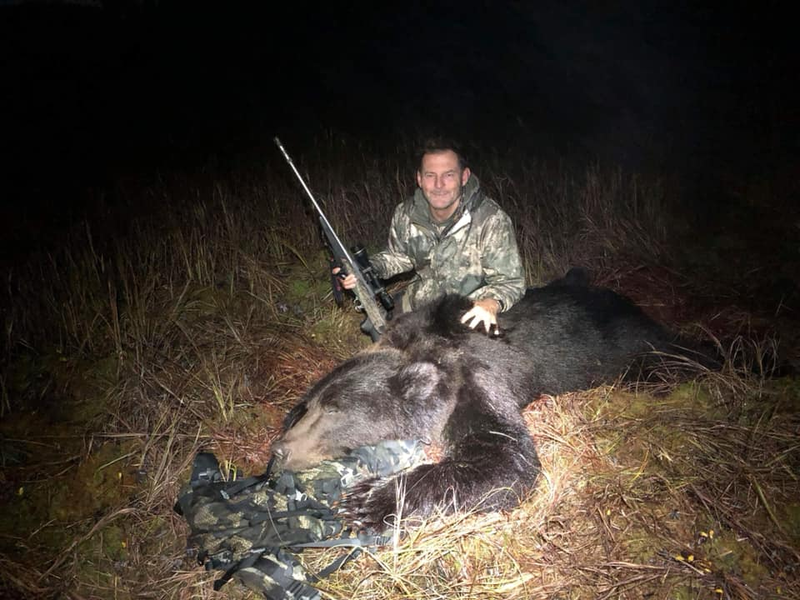 Nick Mong’s black bear taken with guide Brad Burns. 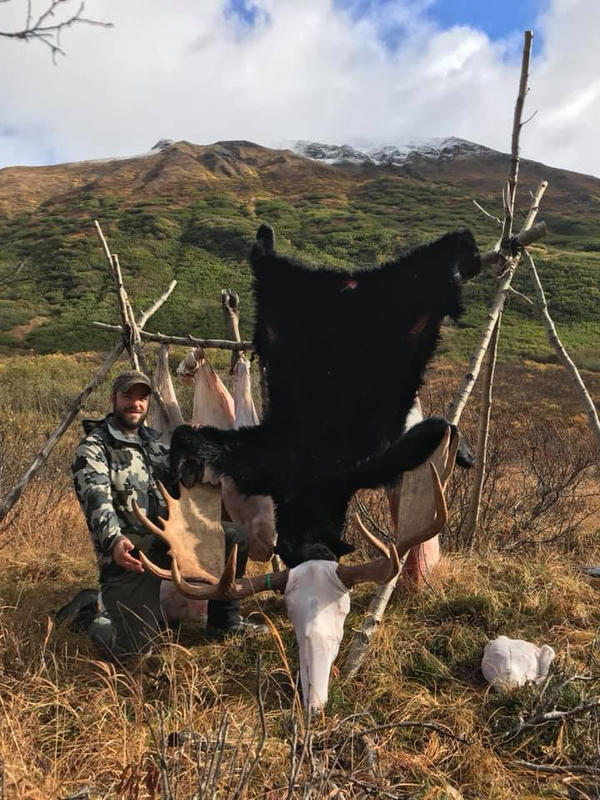 Nick Mong at spike camp. 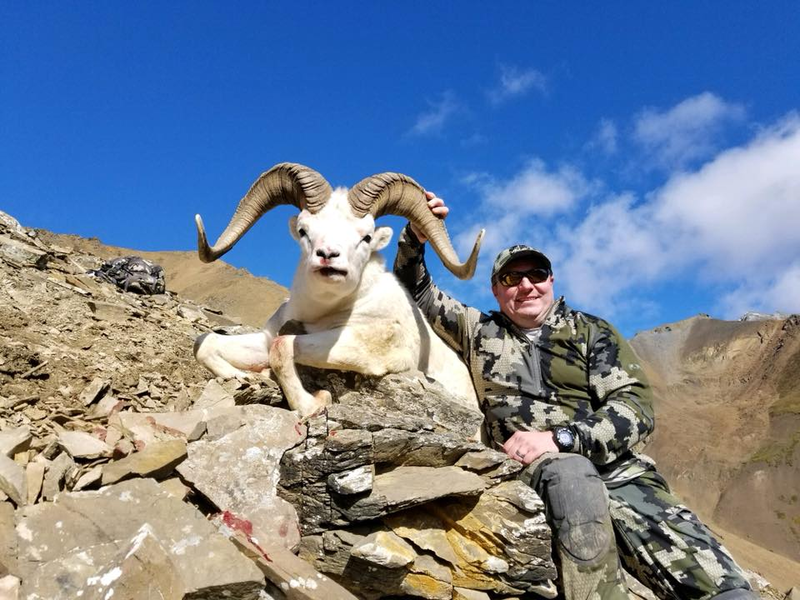 Adam Lavoie and his 37″x14″ ram taken with guide Steve Runyon. 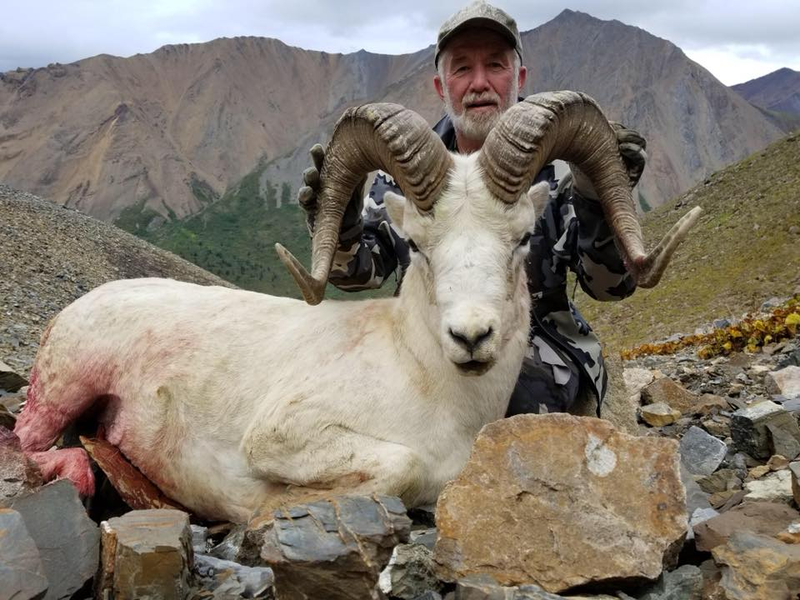 Alan Lavoie and his 37″ ram taken with Steve Runyon. 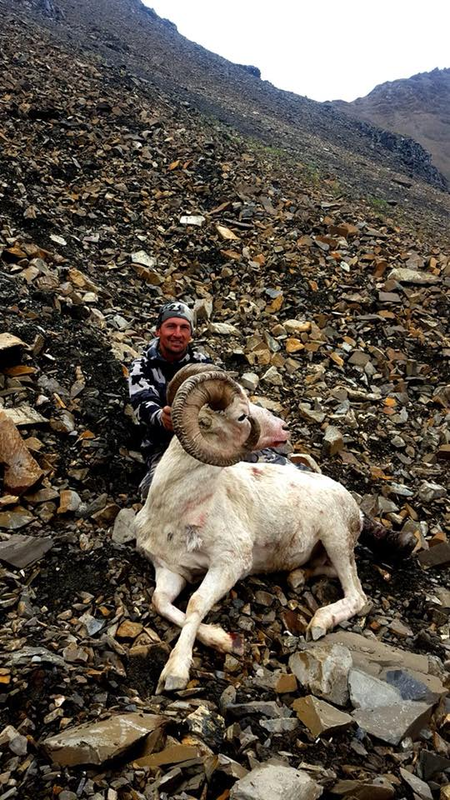 Derrick Feaser and his fine 37″ ram. 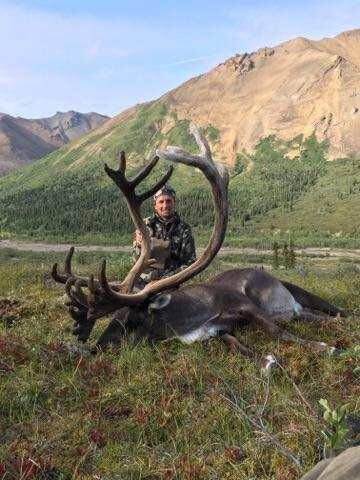 Derrick Feaser and his 440 B&C Caribou. 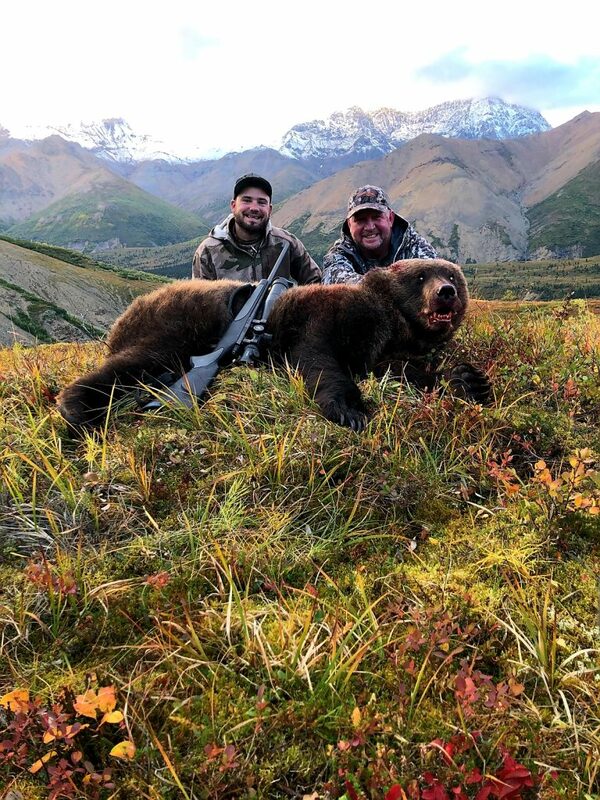 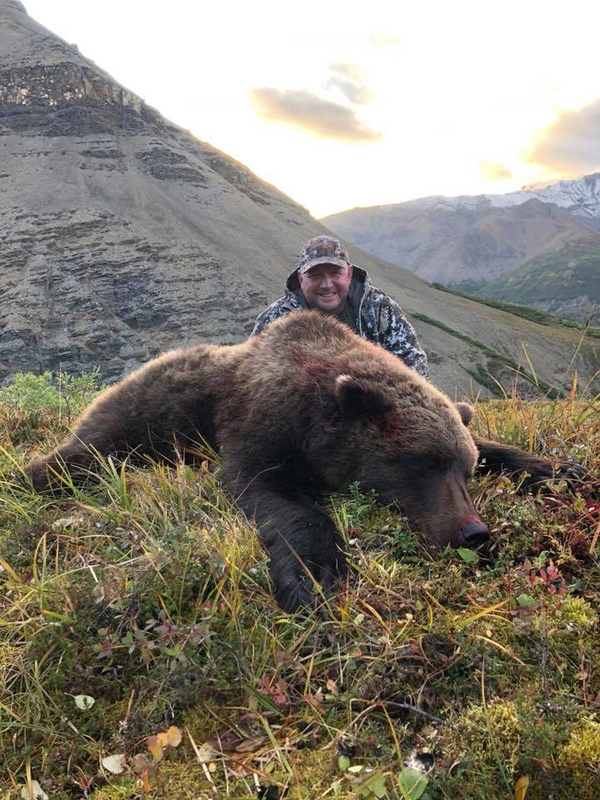 Greg Fleming and his interior Griz taken with guide Matt Rees.